Today, you’re going to learn everything about how to use CBD oil for pain. We analyzed over 40 scientific papers about the beneficial effects of CBD and tested over 30 CBD oils on their general effectiveness (based on our subjective experiences!). The results we found are a MUST-read for anyone suffering from any type of pain. 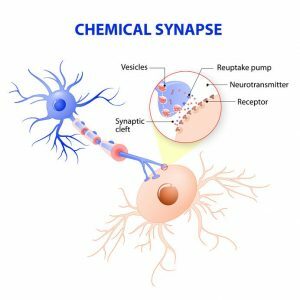 In layman’s terms, the way CBD oil works involves the millions of neurotransmitters and receptors in the brain that have a big influence on what and how you feel. CBD in some cases activates brain receptors, stimulating the activity of neurotransmitters that communicate with these receptors. In other cases, CBD binds to these brain receptors, inhibiting the uptake and increasing the presence of certain neurotransmitters in the brain. Serotonin is often referred to as a “feel-good neurotransmitter.” When serotonin neurotransmitters are active they act as an anti-depressant, boosting your mood to make you feel happier. But they can only be active if serotonin receptors are active. Many serotonin (5-HT) receptors are related to neuropathic pain as well, and CBD activates at least one of these receptors (5-HT1a). By activating the 5-HT1a receptors, CBD could effectively interfere with neuropathic pain. By binding to Adenosine receptors, CBD effectively inhibits the re-uptake of Adenosine neurotransmitters, which in turn increases Adenosine signaling in the brain. The activation of Adenosine signaling in the brain has been associated with anti-inflammatory effects. The vanilloid (TRPV1) receptors work the opposite way compared to serotonin receptors regarding pain. When they're active, you have a heightened sense of pain. CBD has been shown to bind to vanilloid receptors. Researchers have hypothesized that through this binding, “CBD, like capsaicin, leads to desensitization of TRPV1 receptors, with subsequent ‘paradoxical analgesic effects“. CBD may not only relieve physical pain but mental pain like anxiety and depression as well. While CBD oil is not a medically approved medicine, various scientific research has shown that CBD has powerful anti-inflammatory and analgesic effects. Systemic and intrathecal administration of cannabidiol (CBD), a major nonpsychoactive component of marijuana, and its modified derivatives significantly suppress chronic inflammatory and neuropathic pain without causing apparent analgesic tolerance in rodents. They ascribe the anti-inflammatory and painkilling effects of CBD to potentiation of glycine receptors (GlyRs), which play an important role in the regulation of pain at the spinal level. 1 patient didn't improve at all. Interestingly enough, this same study found that with 1 patient experienced much better pain control with a lower dose of CBD. This means that more is not always better! There has been some research in regard to cannabinoids and improving gut health as well as relieving the pain associated with it, including conditions like Crohn’s, leaky gut, IBS, celiac disease, gluten sensitivity and more. 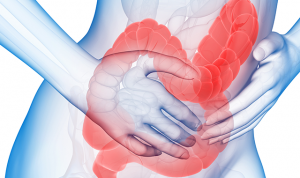 Researchers have found evidence, as suggested in “Cannabinoids for treating inflammatory bowel diseases: where are we and where do we go?” that cannabinoids can potentially treat inflammatory bowel diseases (IBDs). Of all cannabinoids both THC and CBD have the biggest potential. Pre-clinical studies have shown that CBD potentially has an anti-inflammatory effect on intestinal inflammation. While the exact mechanism responsible for this effect needs further research, researchers have found at least some evidence that CBD acts as an antagonist to GPR55, a receptor that plays a crucial role in intestinal inflammation. By binding to the GPR55 receptor, CBD could work as a desensitizing agent on this receptor, which potentially leads to a decrease in inflammation. Arthritis, which literally is an inflammation of the joints, is another condition that CBD oil could be very effective for. Research published in 2016 in the European Journal of Pain found a dramatic reduction in inflammation and signs of pain, without adverse side effects in rats with arthritis after the animals were given a topical gel that contained CBD for four days. It makes sense that CBD could help with any inflammation-related health condition due to its ability to lower inflammation. That not only includes digestive disorders, arthritis, and chronic pain, but diseases like asthma, sinusitis, hepatitis and even periodontitis (gum disease). There are many users of CBD oil who have reported that it helps with not only pain but conditions like multiple sclerosis, nausea, PTSD, Alzheimer’s disease, insomnia, and epilepsy, in addition to all of the above, though more studies are still needed to confirm these effects. 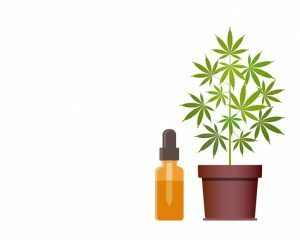 How Much CBD Oil to Take? As CBD oil isn’t an officially approved medicine, there are no official dosage guidelines. If you’re taking CBD oil for the very first time, begin with the smallest dose possible until you know exactly how your own body will react. As with just about anything, from a new pharmaceutical drug to a natural plant or herb, people have varying reactions. Every individual has their own unique set of genetics that is responsible for controlling, at least in part, overall health, the endocannabinoid system, and tolerance. That means the right amount of CBD oil for one person is often different for another. The good news is that it’s easy to gradually increase the dosage, just milligrams at a time until you find just the right balance that works. It’s also important to keep in mind that CBD oil is not a pharmaceutical drug – it probably won’t work immediately. In fact, it actually takes time, with the effects taking place gradually as your body adjusts. That’s why some people, even when taking the correct dosage, mistakenly believe it’s not working. Always give it at least a few weeks before you make any conclusions. This is just a general guideline to start with, if you’re working with an alternative health care provider or your physician, always follow their advice. Also, note that there has been a recent study that found painkilling effects of CBD with an initial dose of 100 mg/d and a progressive increase up to 300 mg/d (spread out over the day in smaller doses). Never use more than 1500mg/day, this is the current maximum recommended dose. Also make sure that if you're taking other medicines, be extra careful with high doses, as CBD could potentially interact with many pharmaceutical drugs. 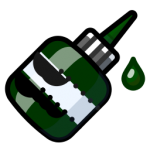 Note that how many drops you need to take to achieve a set amount of CBD in milligrams, is highly dependent on the CBD oil that you're using. CBD oils come in many different strengths with potencies of 1% CBD to 30% CBD. For example, NuLeaf Naturals CBD oil has a strength of 50mg CBD/milliliter. A 0.5 FL OZ (15ml) bottle of their pure CBD hemp oil contains 725mg of CBD. In their case, 1 drop = 2.4 mg of CBD, this means there are 300-320 drops in total. If you have severe pain, in this case, start your dosing with 10 drops. Now, if you notice that your body doesn't have any adverse reactions, you can slowly start to increase the dose IF you don't feel any positive effects from your initial dose. There are also dosage instructions that come with the CBD oil you purchase to read before taking that first dose. Continue taking up to the maximum amounts slowly over your first four weeks. Evaluate how it helps to relieve your symptoms, taking notes if possible. If you do experience drowsiness, which is unlikely at these lower doses, you may want to take CBD oil in the evening, just before bedtime, or spread the dosage in small drops throughout the day, so that there is a small amount in your body all the time. There are no severe side effects such as liver damage, paralysis, addiction or even death, as with some medications. There are a few relatively minor side effects that may be experienced by some, including dry mouth, a slight sedative reaction (feeling sleepy) and a reduction in the liver’s ability to metabolize certain pharmaceutical medications. What that means is that if you’re taking a drug to lower your blood pressure or a heart medication, CBD may potentially block the effects of those drugs, which is why anyone taking a prescribed drug should speak with their healthcare provider before using CBD oil. Drowsiness typically only occurs in those who exceed doses of 10 mg/kg/day, which is far more than the average person needs to battle pain. What's Wrong With Pharmaceutical Painkillers? Painkillers play a major role in America’s skyrocketing opioid epidemic. In 2016, the Centers for Disease Control (CDC), reported over 63,000 overdose deaths in the U.S., over two-thirds of which involved an opioid. Prescription painkillers work by binding with receptors in the brain. These receptors are tasked with acknowledging pain. When you take painkillers, these receptors get locked and unavailable for communication. The result is less perceived pain and mild euphoria. Opioids are the most powerful of these, opium-like compounds that were created to react on the nervous system in a way that’s similar to drugs made from the opium poppy, such as heroin (one of the most addictive drugs). When the pharmaceutical industry promised they’d offer near-miraculous relief, healthcare providers started prescribing them by the boatload, with addiction a frequent result. 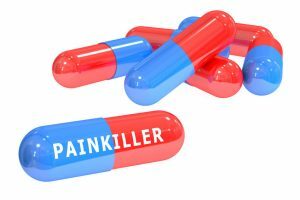 While no one enjoys living with pain, those little pills not only come with negative side effects but a high risk of addiction and sometimes with problems worse than what caused the pain in the first place. Could CBD Oil Be an Effective Alternative? Current data points towards the fact that CBD oil may be an effective natural substitute for pharmaceutical painkillers. But if you look around on forums like Reddit or health forums, there's no doubt that you'll find many who have found CBD oil to be extremely effective in treating their pain. These anecdotal experiences have a solid scientific basis. There have been dozens of studies that have confirmed CBD’s ability to provide analgesic (painkilling) relief. CBD is believed to interact with receptors in both the central nervous system and the brain to reduce inflammation and alleviate pain. In 2012, research published in the Journal of Experimental Medicine conducted on rats and mice found that use of CBD significantly decreased inflammation in the animals. Without causing any major negative side-effects. We do have to keep in mind here that THC plays a big role in reducing pain as well, and it's probably the combination of THC and CBD what makes Sativex so effective and these results can't directly be translated to the use of CBD oil, because CBD oils don't contain therapeutic amounts of THC. Nonetheless, it shows the potential of CBD. But always consult with your healthcare practitioner first, especially if you're already taking prescription-based medicines. Be very careful when combining CBD oil with these! Lastly, if you want to connect with us, share this article/become a fan on Facebook or follow us on Instagram by clicking the links below.